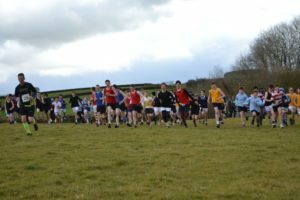 It was a case of ‘four seasons in one day’ for the school’s annual cross country run ‘The Exmoor’! The event, which has taken place on the last Thursday of the Easter term for over 160 years, saw pupils from Year 8 and above running up to 10 miles across some of Exmoor’s most beautiful, and steep, landscape, back to the main school. If that’s wasn’t tough enough, all senior school students from year 8 and above walk around eight miles to the start points, one of which was steeped in snow, before they even begin the run back to school. This year’s race started in snow, threw in some hail, wind and sunshine and finished in sleet. As always, we were delighted to be joined by over 60 runners made up of OWBA, parents and members of the wider school community, who took up the challenge of either the long (10 miles) or short (6.7 miles) course. 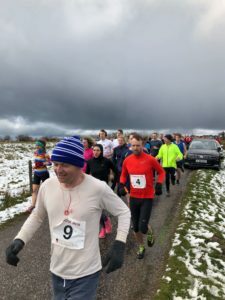 Runners in the long race ran along snowy lanes for the first two miles before descending off the top of the moor, following the route through some of the most beautiful Exmoor countryside.